God, save me from God…. How do you see Jesus? The answer to this one question sets so many beliefss, ideas, and expectations. What is the role of Jesus in the over all scene of things? I heard Brad Jersak quote Meistersinger Ekhart “God, save us from God.” After hearing it, it rolled around in my head for the next few days. I couldn’t shake it. I have been accused of making God in my own image or the version of Him I want to believe in. If you think about that, we all have. We have a vision of who God is based on our perceptions whether good or bad our rendition is based on what we or who we believe God/Jesus is. I have changed my thinking and perceptions in the past few years. Formerly I was in the standard evangelical charismatic with a touch of American Pentecostal thrown in for good measure. I was a conservative republican Bible toting American. The Bible said it, I believe it, and that settles it kind of a guy. To me Jesus was just as much apple pie and American as you can get. I saw a God of love and war and judgement. 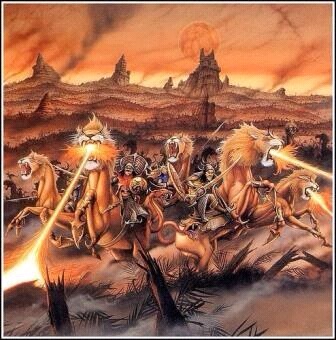 I believed in hell fire and brimstone for the masses who didn’t see it that way… and I was okay with that. I saw God as a judge and Jesus as my lawyer my arbitrator. My Christianity or my perceived righteousness was based on my spiritual activity and accomplishments. I was riding a spiritual roller coaster. Running to God when I had a couple notches on my spirit belt and ducking in shame and guilt when I felt I fell short. In order to be able to go to God it was a mental game to me. If I messed up, I guess I ould have to read some extra chapters maybe fast a couple meals and God will see I am repentant and worth giving me a glance. I found myself to be a judgmental jerk. I would play mind games looking for the short comings in others in order to make myself look better than them. I probably put people off with my mental gymnastics. I know I wasn’t drawing them in with my being me. My version of God was skewed and it formed my very being. My actions and the way I treated people came out of that. What’s your version of God/Jesus? That will tell a lot about you. God, save me from God! Save me from the God that I thought I knew. Save me from the judgmental spirit my paradigm birthed within me. I knew that God was LOVE (period), but always had caveats as to how he was going to roll out the book of Joel and Revelation an come out swinging and taken names and letting the blood flow. I had a bipolar godhead. God, save me from God, save me from who I believed Him to be. 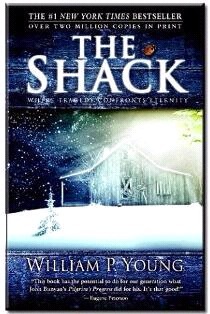 There is a book titled The Shack by WM Paul Young. To love perfectly, that is the premise of my view of God! He is said to be love. Gods love is unconditional, it is never ending and all sufficient. Is that agreeable? Is there another view that says this would be false? Where does wrath come in or better yet how does it fit in? If he is both a God of wrath and a God of unconditional love how can that be? I was saved from that God. I was released from a bipolar godhead and and a guilt ridden lifestyle of Christianity. No, I do not believe that I now have a license to sin or free to willy nilly do as I please. The freedom I have been given or entered into has driven or you could say it propels me to want to know Him more, to trust Him more, and to believe in Him moi used to mess up and fear going before Him because I felt unworthy, I now run to Him freely because I know how He sees me and how He defines me. That definition is all that matters. How you view God will impact your personification of Him. It will either hamper or hinder your ability to relate in fear or intimacy. Love the quotes. I think we’ve been on similar journeys. Brennan Manning and “The Shack” were two early paradigm-shifting influences on me. I just cried when I read the Shack and thought, wow, God actually is love. It’s been a wonder-filled journey into freedom ever since! Yes, I used to have it on my iPod years ago. Cool that it’s on YouTube now.